GALLIPOLIS — A Gallia County man was sentenced to two years in prison Wednesday thanks to tire impressions left in the mud at the scene of one of his burglaries. 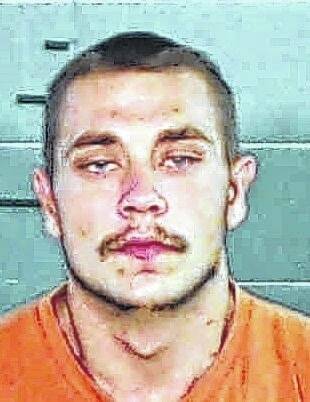 Keith Boggess Jr., 24, pleaded guilty Wednesday in Gallia County Common Pleas Court to third-degree felony burglary was was given by Judge D. Dean Evans a two-year sentence in the Ohio Department of Rehabilitation and Correction. According to Gallia County Prosecutor Jeff Adkins, a homeowner in Springfield Township left to work a 12-hour shift late Dec. 13, 2014. The homeowner’s son arrived home from work the same evening to find that someone had broken into the residence. The son also discovered several missing items, such as a television, laptop computer, digital camera, a jewelry box and a cell phone. Gallia County Sheriff’s Office investgators found several pieces of evidence inside the home, but it was tire impressions left in the mud near the driveway that provided the biggest lead. According to Assistant Prosecutor Britt Wiseman, sheriff’s investigators were able to identify the tire impressions at the scene with a van that was of interest in the burglary investigation. Many of the stolen items had been pawned or sold for quick cash, prosecutors said. Investigators later questioned Boggess, who reportedly admitted to entering the home and taking the aforementioned items. Investigators also learned Boggess was related to the victim and knew the work schedule, thereby knowing what time the homeowner would be gone from the residence. In addition to the two-year sentence, Boggess also must pay $2,000 restitution to the victim. Assistant Prosecutor Eric Mulford said the case was quickly resolved because of the quick response and investigation by deputies and detectives with the sheriff’s office. “Their diligence and persistence made this criminal prosecution successful and we appreciate their continued hard work,” he said.